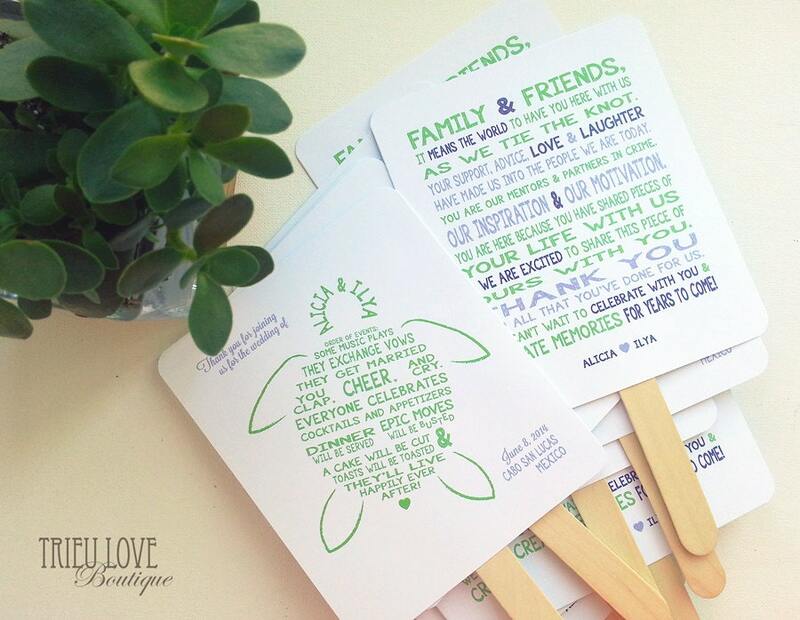 A completely customizable double-sided Sea Turtle wedding program fan that will be 5.5" x 6.5" (plus a 3" handle). You can have anything you like written in the Sea Turtle and on the back! Change any or all of the wording to suit your special day. If you are looking for something simple and sweet, this is it. Your guests will enjoy reading through this fun Sea Turtle program, and cool down in the hot weather. Absolutely loved these programs. Very good people to work with. Thanks again!